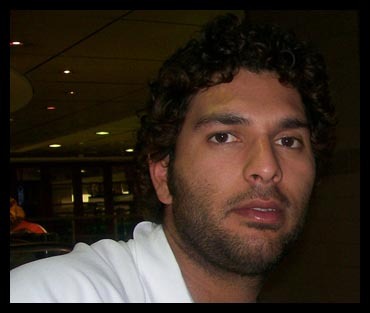 Yuvraj Singh aka Yuvi was born in Chandigarh on 12th December 1981 when zodiac sign Scorpio was rising. The Sun and Mercury are placed in the ascendant itself, making it quite strong and royal. The lord of the ascendant Mars is placed in eleventh house in conjunction with lord of courage house (i.e. third house lord Saturn). And, in the light of vedic astrology, this combination of planetary placement is sufficient to make a person strong, daring, courageous and victorious in his endeavors. The Moon is placed in eighth house along with Rahu. And, as per vedic astrology this is not a very good placement for the lord of ninth house. Though, the aspect of ninth lord over second house of the horoscope is fairly positive for wealth, status and family (significations of second house). The placement of Ketu in second house is not good for his social relations as such Ketu gives some harshness in the tone and voice of Yuvraj Singh. Vedic astrology reading of Jupiter’s placement in twelfth house is also not desirable as it weakens the significations related to second and fifth houses namely wealth, status, education and progeny. And, due to this reason the academic progress of Yuvraj Singh was obstructed besides delay/obstruction in the marriage. In addition to this, the weak Jupiter has also given him some emotional setbacks in his professional cricket career. Vedic astrology horoscope of Yuvraj Singh indicates that he is under main period of Jupiter and sub-period of the planet Sun during the whole period of Cricket World Cup 2011. And, on the basis of vedic astrology analysis of Yuvraj Singh horoscope and transit position of planets – following assumptions of his future performance can be expected. 19th February 2011 : The planetary position in transit is not very comfortable and despite playing against weak opponent namely Bangladesh, the performance of Yuvraj Singh may not be as per expectations. The Mars and Mercury will be combust while the Moon will be in Leo zodiac sign under mutual aspect with the Sun, Mars and Mercury. 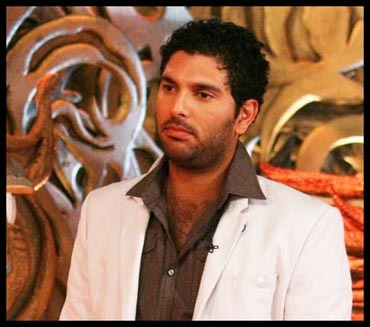 The influence of combust ascendant lord Mars and combust Mercury in transit may not allow Yuvraj Singh to be in focused mood for strong physical activities and performance thereof. 27th February 2011: This match is falling on Sunday which represents the Sun, whose antardasa will be operational in Yuvraj Singh horoscope. 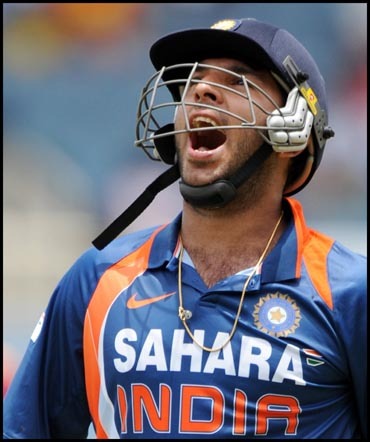 The vedic astrology predictions are favorable for Yuvraj Singh. His performance will be very strong if he gets the chance to bat before 3.00 PM. After 3.00 PM, the performance may not be as strong and he may get into taking unnecessary risks. There are also some chances of Yuvraj Singh getting some injury during the day. And hence, he should remain quite careful in this regard. Overall performance of the day is likely to remain moderately strong in comparison to 19th February 2011. 6th March 2011: This match against Ireland is also falling on Sunday. 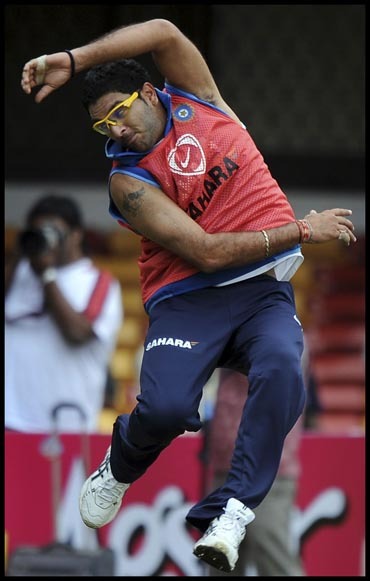 However, Yuvraj Singh may find it difficult to exploit his full potential during this day. He may not be feeling much enthusiastic on this day as the Moon will be in direct opposition from the Saturn in transit. The conjunction of Jupiter and Moon on this day may entice Yuvraj Singh to take risk by being aggressive. Health and aggression are to be taken care of by Yuvraj Singh on this day in view of coming Cricket Matches with South Africa and West Indies. 9th March 2011: This match is to be played on Wednesday. In transit, the ninth lord Moon will be in Aries i.e. in sixth house of Yuvraj Singh horoscope. He may suffer due to bad luck on this day and his performance may not be up to expectations. He must control his urge of being dominant on this day. Overall, the day may not be in favor of Yuvraj Singn in all fields of Cricket viz. batting, bowling and fielding. 12th March 2011: This match is falling on Saturday and the Moon will be exalted. Except the Moon, other planets are not much favorable in transit. Therefore, Yuvraj Singh may likely to remain defensive and submissive on the day. Only with very strong efforts, Yuvraj Singh can enjoy an average performance during the day. 20th March 2011: This will be the last match of Group B and is falling on Sunday. 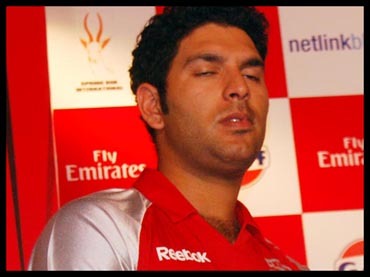 Well, this will be the Yuvraj’s Day. The Mercury is out of combustion. The transit Moon is in Virgo in eleventh house. The Mars is in Aquarius in fourth house having its aspect on tenth house. Yuvraj Singh is very likely to do exceptionally well in the ground. And, the crowd may see the boll remaining out of the ground, when Yuvraj Singh will be batting on the pitch. Visit Birth Chart Astrology for your personal vedic astrology readings. Hello rajshekharsharma, I’m also interested in this. (Please take a look at the latest article on my blog for more info.) This article makes for very engaging reading; you’ve certainly provided me with lots of food for thought! Excellent information provided by you for cricket lovers. Hello Mr Sharma, Yuvraj has peformed brilliantly in this tournament and India are in the world cup final. I think India’s and Dhoni’s horoscope is important for the final, do you see India winning the final?